With the recent Operating System updates in Apple devices i.e. 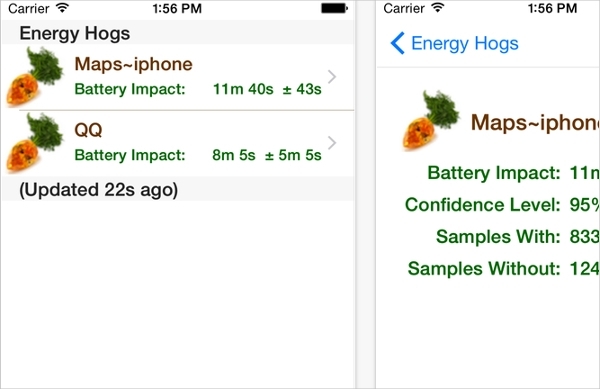 iPhone and iPads battery performance of these devices has been enhanced and it’s now easy to check on the apps that consuming your battery more than others. On this post we have discussed some of the apps that can be used to track improve the performance of the battery and extend the duration the battery lasts when fully charged. Out of all battery saving and management apps available on iTunes, Battery Doctor stands out as the most popular and the most downloaded app. It has a vast of positive reviews as well as good ratings. The app has an inbuilt feature which allows people to keep track of their battery level, and also the feature estimates how long the battery will last. 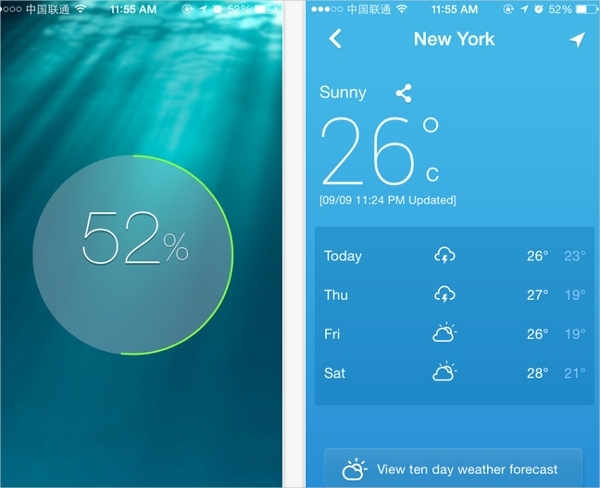 Another fantastic feature that comes bundled with the app is the weather forecast, with the Battery Doctor app you won’t need another app to check on the weather. 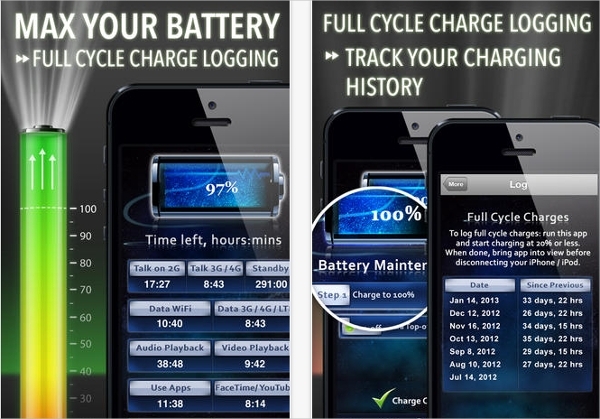 The Battery Doctor app also give the user tips on how to save more of your battery charge. This app was developed a while ago, in fact it is one of the oldest battery saving apps in the app store. The app is capable of letting you know how you’ve been using the battery which apps you’ve used most, how much time have you spent on making calls and texting, etc. the app is built with tips and tricks which will help you to get a maximum of you battery power. It’s a recommendable app which works just right. Here is another amazing app that works just like Battery Life Magic Pro. It gives detailed information on the battery consumption. Judging from which apps you are using Battery HD+ estimates the how long the battery will last while you are doing the same thing. E.g. if you are listening to music it will tell you how long you can keep on listening to music until the music battery runs empty. Carat is an awesome app develop by the University of Helsinki. The app was built with an aim of ensuring that the battery of you Apple device last longer without getting wrecked. The app keenly observes all your activities while you are using the phone and monitors their battery usage. It provides the user with a detailed report of how apps are using the battery and which apps you should uninstall and which you should maintain. The app has millions of downloads as well as positive ratings. It one of the best battery saving app for your iOS device. There are thousands of battery saving apps which you can download from the app store, but you can only find a handful of them that works right on your device and give your expected results. The post has some of the best, and it’s your turn now to choose which app works well for you.